Emission Control System – SIMTEC EUROPE d.o.o. Modern cars are equipped with advanced pollution control devices in order to meet engine emission norms. 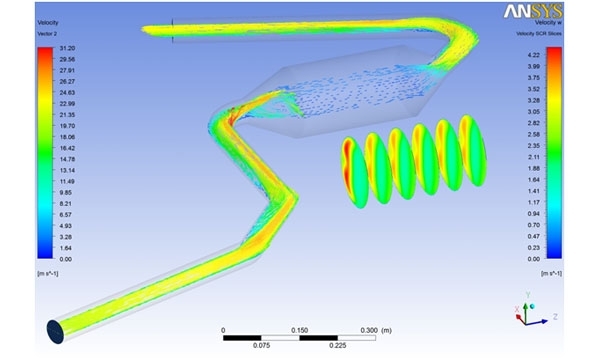 Computer simulation is increasingly used in the design process to ensure that a given after-treatment system achieves the required level of pollutants’ reduction over the full operating cycle of a specific engine, however there are modelling challenges still to be met. On the other hand, the methodologies currently used to evaluate the emission control devices lifetime, are mainly based on expensive experimental tests. 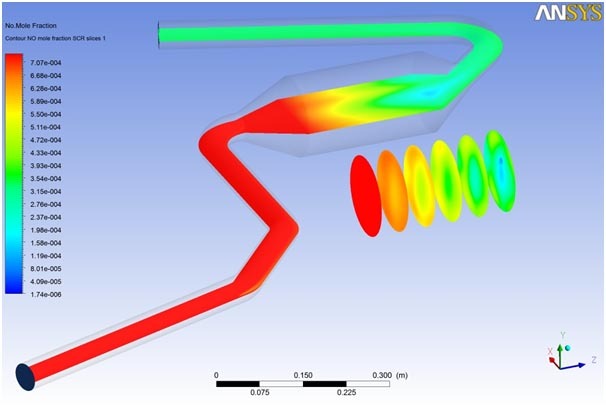 The current project developed an integrated methodology for designing and assessing the lifetime of emission control devices, based on simulations using specialized computational tools developed and used by the collaborating SMEs. The simulations were supported by targeted experiments performed at the Aristotle University of Thessaloniki. 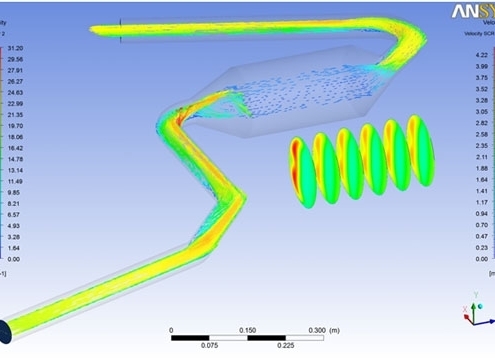 The final outcome of the project was a new simulation software and methodology based on the interconnection of the software of Exothermia SA with commercial CFD packages. As a first step the state-of-the-art after-treatment modeling software axisuite® was coupled to ANSYS Fluent through User Defined Functions. In contrast to previous CFD efforts that typically aim at calculating the inlet flow profiles at the after-treatment device, the present approach allowed for the evaluation of the complete system performance in terms of emissions reduction. 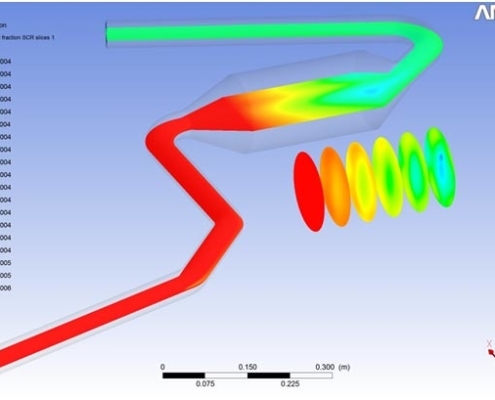 Based on the software developed and the simulation results a methodology was synthesized that allowed the assessment of the emission control devices lifetime in the design phase.